"PennyPacker was developed in the 70s as an export brand to embody everything American; The Penny, Abraham Lincoln and The American Flag. It was the number one selling Bourbon in the European market in the 70s. PennyPacker was introduced to the US market in May of 2013. With 70% corn it has a certain amount of sweetness with a light finish, which makes it ideal for sipping or mixing in cocktails." An interesting tale to be sure. Made in Kentucky as an export only brand since the 1970's and now being shipped back from Germany after bottling to take advantage of a booming US bourbon demand. I wish there were some clue as to which distillery was making it for them to begin with, because this really is a decent bourbon for what it is. The nose has a strong fume when poured over whiskey stones, and it only fades a little after adding a couple drops of water. There is a touch of fresh citrus and honey on the nose that is there when it first hits the palate, but quickly loses it's fight to the raw burn of the corn and oak ethers of a young whiskey. 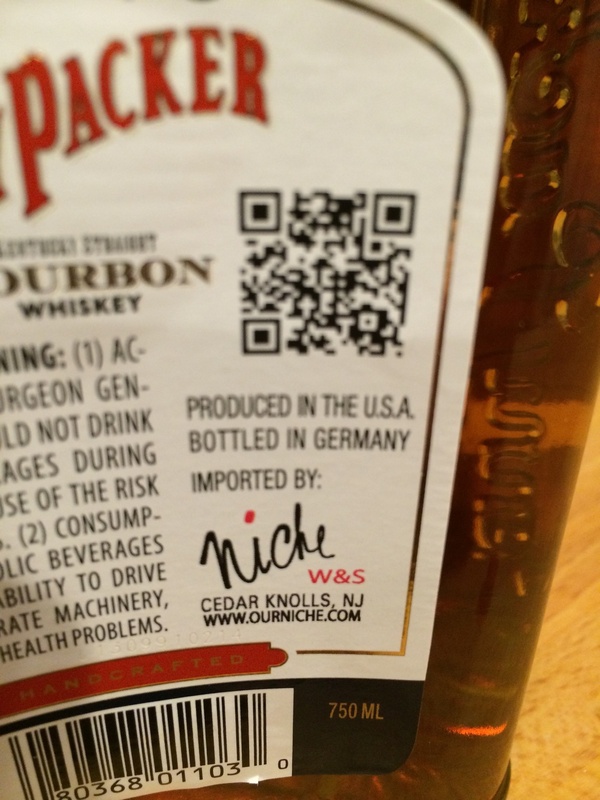 With no age statement it is impossible to be sure, but I would be amazed if this spent more than the minimum four years needed to carry the "Kentucky Straight Bourbon" label without an age statement. For a fairly young bourbon this is quite nice, and for the price Caskers had it for ($24.99) a great price.